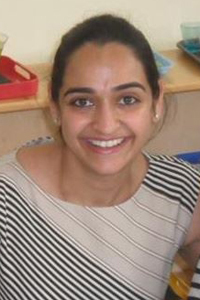 Ashmeet Oberoi has two graduate degrees in child development and community psychology and is pursuing a Ph.D in community psychology with a distinction in statistics and measurement from the University of Illinois at Chicago. To overcome health disparities, Ashmeet engages in education, research on effective services, collaboration, and civic work. She currently works as Program Coordinator for the project “The Vocational Rehabilitation Quality Assurance Project” which employs the use of secondary data to investigate the employment outcomes of people with disabilities. Ashmeet has been working as a project coordinator and statistical consultant for the last 8 years and has worked for government agencies, nonprofits, and research centers at universities. She is passionate about improving the quality of life for all individuals, celebrating diversity, and community building.